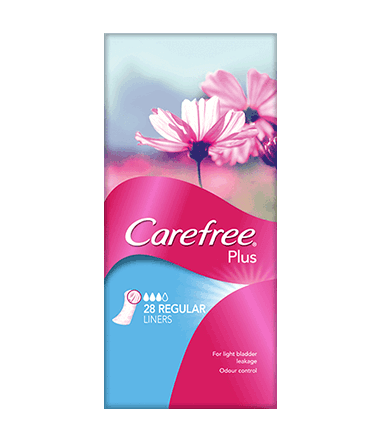 CAREFREE® Plus Regular Liners are thin, discreet and comfortable liners designed specifically for Light Bladder Leakage (LBL). These wider liners absorb more fluid than a standard period liner*, with the super absorbent core locking fluid away and providing 12 hours of odour control. The soft cottony cover also keeps you feeling comfy so you can stay feeling fresh and free to get on with things. *Compared to CAREFREE® Original Liners.